Its rulers were Henry II, Richard I, and John. 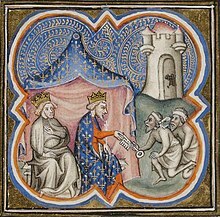 The empire was established by Henry II, as King of England, Count of Anjou, in 1152, through marriage to Eleanor of Aquitaine, he became ruler of the Duchy of Aquitaine. Despite the extent of Angevin rule, Henrys son, was defeated in the Anglo-French War by Philip II of France of the House of Capet following the Battle of Bouvines, John lost control of all his continental possessions, apart from Gascony in southern Aquitaine. 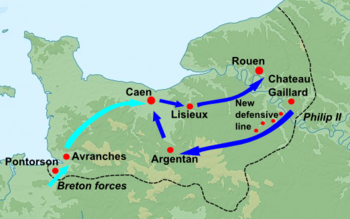 This defeat set the scene for the Saintonge War and the Hundred Years War, the term Angevin Empire is a neologism defining the lands of the House of Plantagenet, Henry II and his sons Richard I and John. 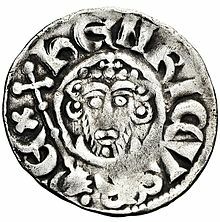 Another son, Geoffrey II, Duke of Brittany, ruled Brittany, the term Angevin Empire was coined by Kate Norgate in her 1887 publication, England under the Angevin Kings. In France, the term Espace Plantagenêt is sometimes used to describe the fiefdoms the Plantagenets had acquired. The term Angevin itself is the demonym for the residents of Anjou and its capital, Angers. The demonym, according to the Oxford English Dictionary, has been in use since 1653, the use of the term Empire has engendered controversy among some historians, over whether the term is accurate for the actual state of affairs at the time. 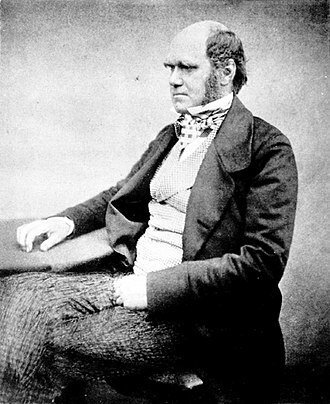 The area was a collection of the inherited and acquired by Henry. 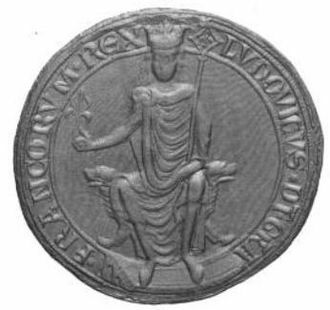 Other historians argue that Henry IIs empire was powerful, centralised. There was no title, as implied by the term Angevin Empire. 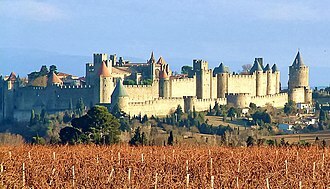 However, even if the Plantagenets themselves did not claim any imperial title, some chroniclers, often working for Henry II himself, Auvergne was in the empire for part of the reigns of Henry II and Richard, in their capacity as dukes of Aquitaine. 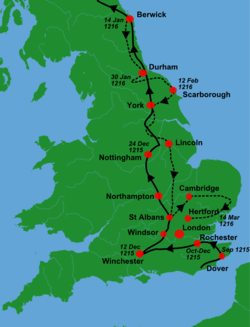 Henry II and Richard I pushed further claims over the County of Berry but these were not completely fulfilled and the county was lost completely by the time of the accession of John in 1199. The frontiers of the empire were sometimes well known and therefore easy to mark, one characteristic of the Angevin Empire was its polycratic nature, a term taken from a political pamphlet written by a subject of the Angevin Empire, the Policraticus by John of Salisbury. The Angevins /ændʒvɪns/ were an English royal house in the 12th and early 13th centuries, its monarchs were Henry II, Richard I and John. As a political entity this was different from the preceding Norman. 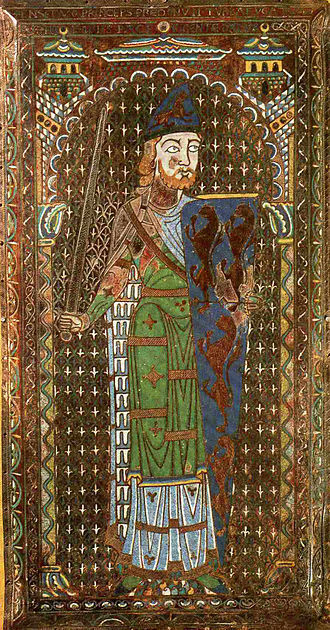 Geoffrey became Duke of Normandy in 1144 and died in 1151, in 1152 his heir, added Aquitaine by virtue of his marriage to Eleanor of Aquitaine. 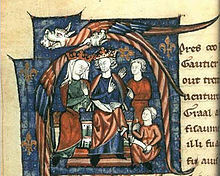 Henry inherited the claim of his mother, Empress Matilda, Henry was succeeded by his third son, whose reputation for martial prowess won him the epithet Cœur de Lion or Lionheart. He was born and raised in England but spent very little time there during his adult life, despite this Richard remains an enduring iconic figure both in England and in France, and is one of very few kings of England remembered by his nickname as opposed to regnal number. 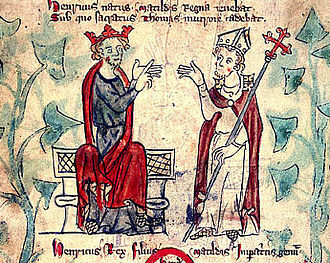 When Richard died, his brother John – Henry’s fifth and only surviving son – took the throne, in 1204 John lost much of the Angevins continental territories, including Anjou, to the French crown. 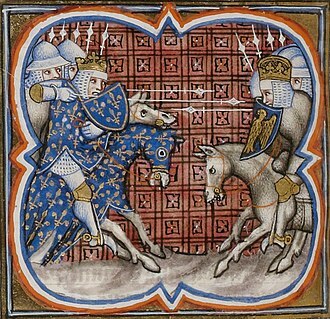 He and his successors were recognized as dukes of Aquitaine. 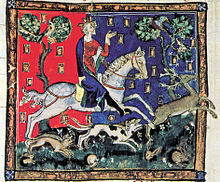 The loss of Anjou from which the dynasty is named is the rationale behind Johns son—Henry III of England— being considered the first Plantagenet—a name derived from a nickname for Geoffrey. 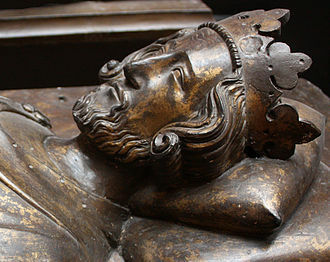 Where no distinction is made between the Angevins—and Angevin era— and subsequent English Kings, Henry II is the first Plantagenet king, in addition it is used pertaining to Anjou, or any sovereign, government derived from this. As a noun it is used for any native of Anjou or Angevin ruler, the term Angevin Empire was coined in 1887 by Kate Norgate. Whereas the Angevin part of this term has proved uncontentious the empire portion has proved controversial, in 1986 a convention of historical specialists concluded that there had been no Angevin state and no empire but the term espace Plantagenet was acceptable. 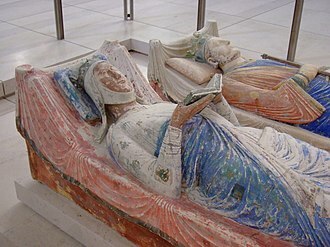 The Angevins descend from Geoffrey II, Count of Gâtinais and Ermengarde of Anjou, in 1060 this couple inherited, via cognatic kinship, the county of Anjou from an older line dating from 870 and a noble called Ingelger. 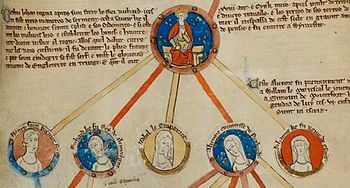 It was from this marriage that Geoffrey’s son, inherited the claims to England and Anjou that marks the beginning of the Angevin and this was the third attempt by Geoffrey’s father Fulk V to build a political alliance with Normandy. 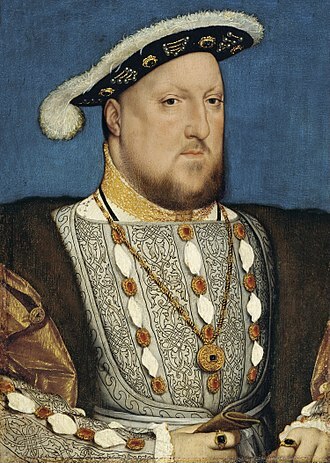 The first was by marrying his daughter Matilda to Henry’s heir William Adelin, Fulk married his daughter Sibylla to William Clito, heir to Henrys older brother Robert Curthose, but Henry had the marriage annulled to avoid strengthening William’s rival claim to his lands. 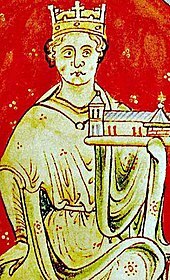 As society became more prosperous and stable in the 11th century, the twelfth-century chronicler Ralph de Diceto noted that the counts of Anjou extended their dominion over their neighbours by marriage rather than conquest. 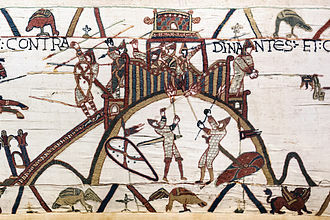 The marriage of Geoffrey to the daughter of a king occurred in this context, King Henry’s great relief in 1133 at the birth of a son to the couple, described as the heir to the Kingdom, is understandable in the light of this situation. 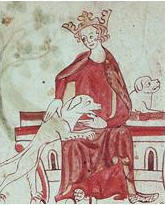 According to William of Newburgh writing in the 1190s, the plan failed because of Geoffrey’s early death in 1151. Robin Hood is a heroic outlaw in English folklore who, according to legend, was a highly skilled archer and swordsman. 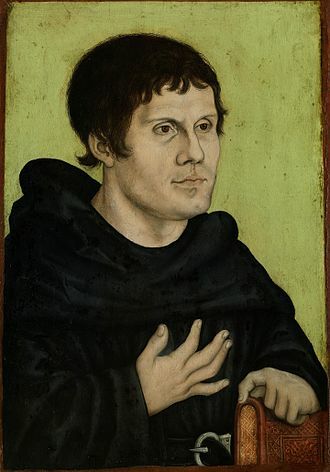 Traditionally depicted as being dressed in Lincoln green, he is portrayed as robbing from the rich. 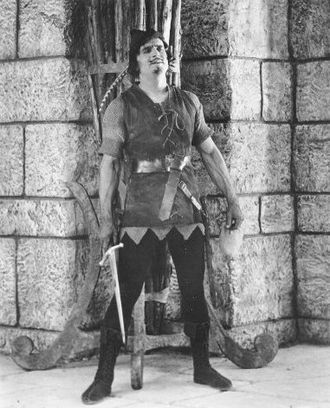 Robin Hood became a folk figure in the late-medieval period. 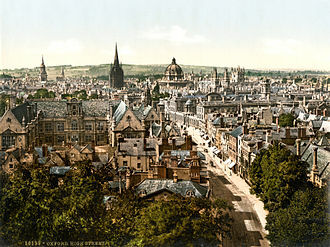 Little John, Much the Millers Son and Will Scarlet all appear and this view first gained currency in the 16th century. It is not supported by the earliest ballads, the early compilation, A Gest of Robyn Hode, names the king as Edward, and while it does show Robin Hood accepting the Kings pardon, he repudiates it and returns to the greenwood. 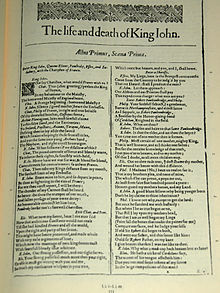 The oldest surviving ballad, Robin Hood and the Monk, gives even less support to the picture of Robin Hood as a partisan of the true king. The setting of the early ballads is usually attributed by scholars to either the 13th century or the 14th, the early ballads are quite clear on Robin Hoods social status, he is a yeoman. While the precise meaning of this changed over time, including free retainers of an aristocrat and small landholders. The essence of it in the present context was neither a knight nor a peasant or husbonde, artisans were among those regarded as yeomen in the 14th century. As well as ballads, the legend was transmitted by Robin Hood games or plays that were an important part of the late medieval and early modern May Day festivities. The first record of a Robin Hood game was in 1426 in Exeter, the Robin Hood games are known to have flourished in the 15th and 16th centuries. 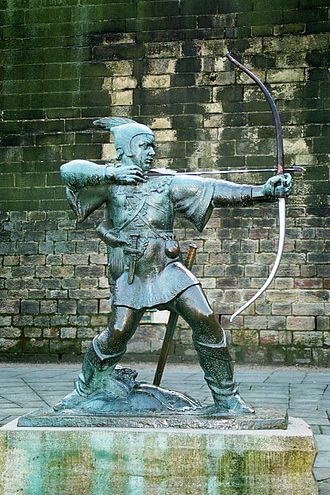 It is commonly stated as fact that Maid Marian and a jolly friar entered the legend through the May Games, the earliest surviving text of a Robin Hood ballad is the 15th century Robin Hood and the Monk. This is preserved in Cambridge University manuscript Ff.5.48, written after 1450, it contains many of the elements still associated with the legend, from the Nottingham setting to the bitter enmity between Robin and the local sheriff. The first printed version is A Gest of Robyn Hode, a collection of stories that attempts to unite the episodes into a single continuous narrative. Beaumont Palace, built outside the north gate of Oxford, was intended by Henry I about 1130 to serve as a royal palace conveniently close to the royal hunting-lodge at Woodstock. Its former presence is recorded in Beaumont Street, set into a pillar on the north side of the street, near Walton Street, is a stone with the inscription, Near to this site stood the Kings Houses known as Beaumont Palace. King Richard I was born here in 1157 and King John in 1167, the Kings House was the range of the palace that contained the kings lodgings. 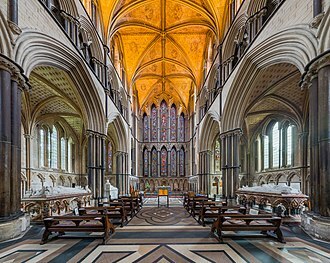 Henry passed Easter 1133 in the nova aula, his new hall at Beaumont in great pomp, celebrating the birth of his grandson, the future Henry II. 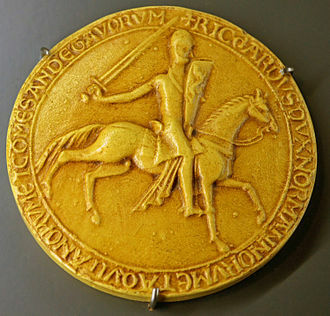 Edward I was the last king to sojourn in Beaumont officially as a palace, and in 1275 he granted it to an Italian lawyer, Francesco Accorsi, who had undertaken diplomatic missions for him. 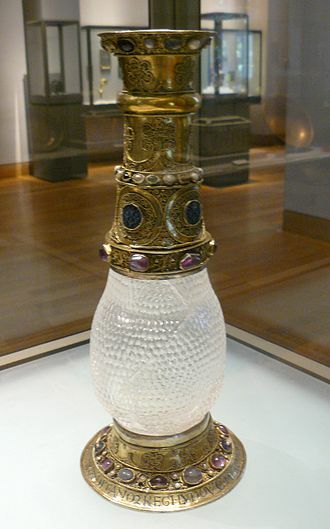 When Edward II was put to flight at the battle of Bannockburn in 1314, he is said to have invoked the Virgin Mary, in fulfilment of his vow he remanded Beaumont Palace to the Carmelites in 1318. The constitution of the United Kingdom is the sum of laws and principles that make up the body politic of the United Kingdom. 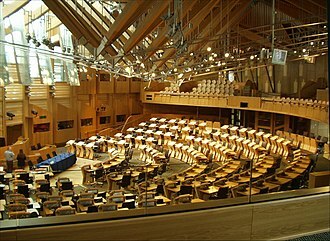 It concerns both the relationship between the individual and the state, and the functioning of the legislature, the executive, the UK does not have one specific constitutional document. Instead the constitution is found within a variety of written and some unwritten sources and this is sometimes referred to as an unwritten or uncodified constitution. The British constitution primarily draws from four sources, statute law, common law, parliamentary conventions and it follows that Parliament can change the constitution simply by passing new statutes through Acts of Parliament. Acts of Parliament are bills which have received the approval of Parliament – that is, the Monarch, the House of Lords, on rare occasions, the House of Commons uses the Parliament Acts to pass legislation without the approval of the House of Lords. 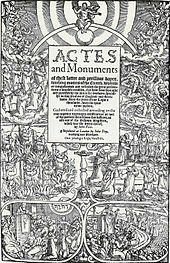 Acts of Parliament are among the most important sources of the constitution, according to the traditional view, Parliament has the power to legislate however it wishes on any subject it wishes. For example, most of the medieval statute known as Magna Carta has been repealed since 1828. 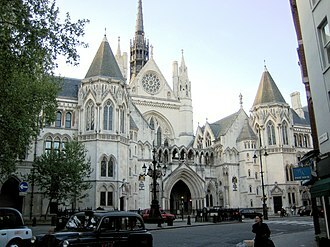 It has traditionally been the case that the courts are barred from questioning any Act of Parliament, on the other hand, this principle has not been without its dissidents and critics over the centuries, and attitudes among the judiciary in this area may be changing. 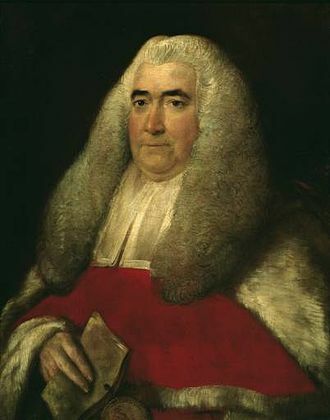 This part of his judgment was obiter – and, was controversial and it remains to be seen whether the doctrine will be accepted by other judges. Treaties do not, on ratification, automatically become incorporated into UK law, important treaties have been incorporated into domestic law by means of Acts of Parliament. The European Convention on Human Rights, for example, was given further effect into domestic law through the preamble of the Human Rights Act 1998, the Treaty of Union of 1707 was important in creating the unitary state which exists today. The treaty was between the governments of England and Scotland and was put into effect by two Acts of Union which were passed by the Parliaments of both nations. 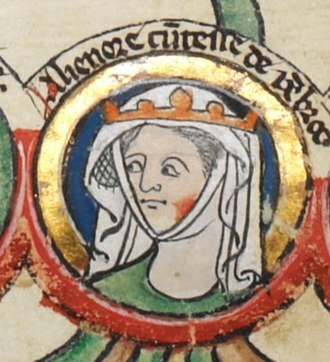 Isabella of England, was Holy Roman Empress, Queen of the Germans, and Queen consort of Sicily. She was the child and second daughter of King John of England. 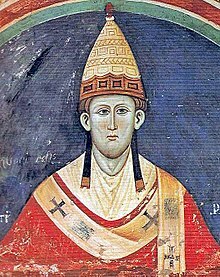 At a friendly meeting at Rieti, Pope Gregory IX suggested to Emperor Frederick II that he marry princess Isabella, the betrothal was formalized in London in February 1235. 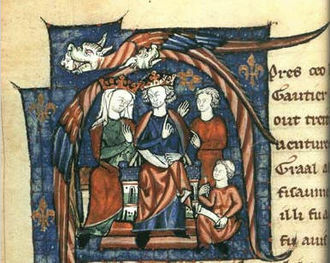 Her brother Henry had to levy a tax of two marks of silver per hide in order to afford the thirty thousand marks Frederick insisted on as Isabellas dowry. Frederick sought this large amount to fund his wars in northern Italy. The beautiful Isabella was about twenty-one years old when she set out to marry the twice-widowed Emperor Frederick II, on her way through Cologne, she delighted the local women when she removed the traditionally worn veil so that they could see her face. 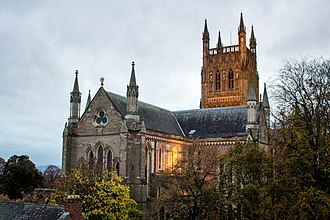 The marriage between Isabella and Frederick took place in Worms Cathedral on 15 or 20 July 1235, in the ceremony, she was crowned Holy Roman Empress, Queen of Germany and she was granted the castle of Monte SantAngelo by her husband upon her marriage. However, as soon as she was married she was added to the Emperors harem, Isabella lived in retirement at Noventa Padovana where her husband regularly visited her. 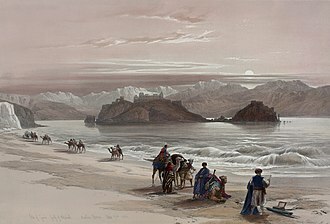 When her brother, Earl of Cornwall, returned from the crusades, he was allowed to visit her, while the imperial court resided at Foggia, Isabella gave birth to her last child and died. 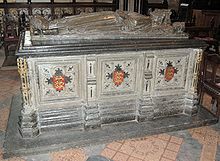 She is buried beside Fredericks previous wife, Queen Isabella II of Jerusalem, in Andria Cathedral, primary sources are at variance concerning Isabellas issue, including the number of children she had, their names, and their birth order. Margaret is believed by some to have been the first child, the most common belief is that Margaret was the last child. 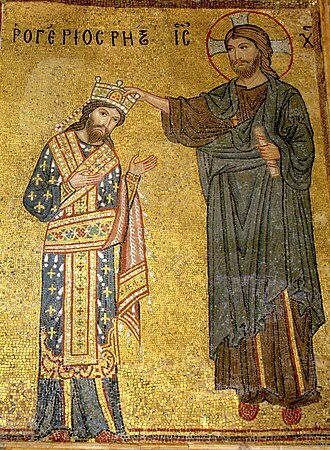 The short-lived son of Isabella has been given the name of Frederick, Jordanus/Jordan, this child received his name because was baptized with water brought for that purpose from the Jordan river. Henry, appointed Governor of Sicily and promised to become King of Jerusalem after his father died, betrothed to many of Pope Innocent IVs nieces, but never married to any. Newark Castle, in Newark, in the English county of Nottinghamshire was founded in the mid 12th century by Alexander, Bishop of Lincoln. Originally a timber castle, it was rebuilt in stone towards the end of the century, the Gilstrap Heritage Centre is a free-admission museum in the castle grounds about the history of the town of Newark. 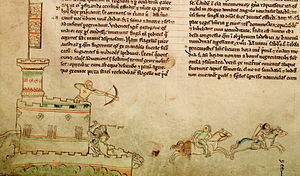 In a charter generally thought to date to 1135, King Henry I granted the Bishop of Lincoln permission to build a castle, the charter reads Henry, King of England to all the Barons and to the Sheriffs and to his ministers and faithful men of Nottinghamshire, Greeting. 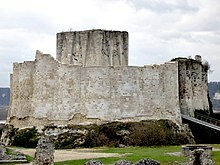 Alexander established a mint at the castle and this early castle was most likely of timber construction, and was rebuilt in stone towards the end of the century. King John died after a feast at this castle on the night of 18 October 1216 from dysentery, the castle was slighted in 1648 and left derelict. 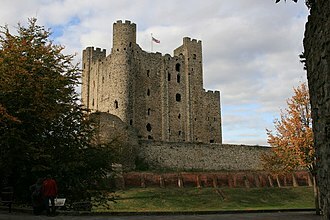 Between 1845 and 1848 architect Anthony Salvin restored the castle, and in 1889 the corporation of Newark purchased the building, the castle is a Scheduled Ancient Monument, a nationally important historic building and archaeological site which has been given protection against unauthorised change.